Warm Stages are designed to fit a specific microscope make and model, please select your microscope by brand, e.g Nikon, Olympus, Leica, Zeiss, Meiji. If your microscope is equipped with a motorized XY stage then please select which make from the options on the right. Although the warm stages are almost exclusively for use on inverted microscopes we also have some non microscope brand specific stages that can be used on upright microscopes. A platinum resistor temperature sensor is used for higher accuracy and stability than the more commonly used thermocouple. The low voltage power supply uses automatic feedback so that there are no temperature fluctuations when loading or removing the sample. Sophisticated CAD designed bi-filar heating element that covers the entire surface of the stage to maintain uniform temperature distribution. The heating element is designed so that no heater current induced fields will influence the sample. 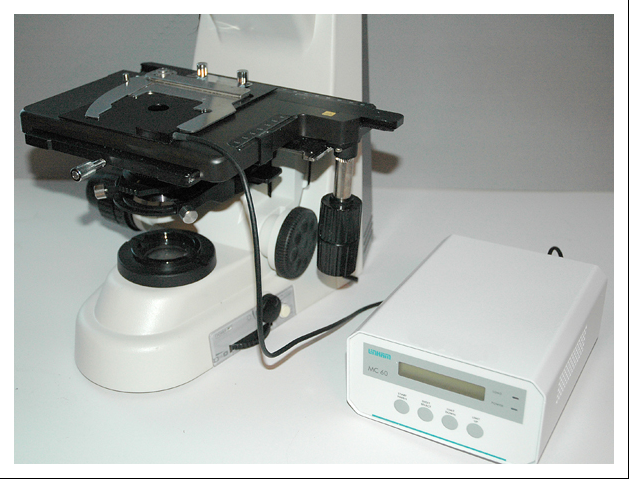 Stages are designed to fit into the microscope table enabling full access to the sample. The DC95 stage controllers are extremely simple and intuitive, set temperature then press heat.